← It’s Friday – things you might have missed! 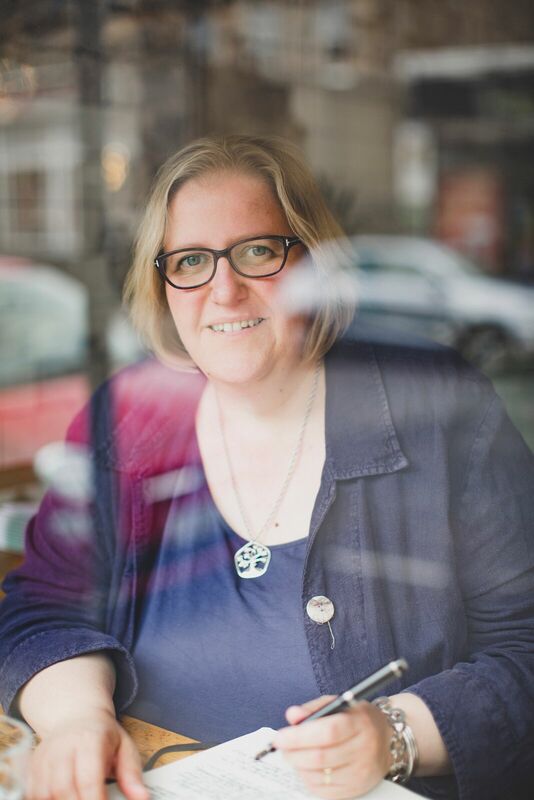 Amanda Craig had a globe-trotting childhood before reading English at Clare College, Cambridge and then becoming a journalist. She is a literary critic, most notable for her influential stint as children’s book reviewer at The Times where she championed the importance of reading for pleasure as well as education and the work being done by children’s authors. 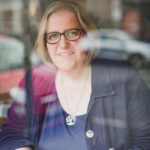 Amanda is still a journalist and regularly pops up on Radio 4 but is best known as the author of six novels including A Private Place and Hearts and Minds, the latter of which was long-listed for the Orange prize while A Vicious Circle is currently in development by a tv company. I loved it and am looking forward to that coming to fruition soon. 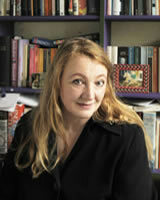 Hard to pigeonhole, Amanda’s writing has been compared to many from Angela Carter to Muriel Spark and Dickens. I’ve never seen liked this trend for likening one writer for another as it seems a lazy shorthand but I do agree that Amanda’s eye for character is as sharp as Spark’s. It’s a cross between a religious vocation and a deadly illness. Mostly. The fun bits are getting the idea, and finishing. Everything in between is excruciating. I wrote a lot of dreadful poetry as a teenager, and some short stories that were v influenced by E Nesbit as a child. Also a diary, which I still keep, which is packed full of all the scandal and secrets I keep to myself. Originally, I wanted to be a doctor because I was so interested in people, but found I was rubbish at Maths….two of my favourite authors remain Keats and Chekhov who both trained as doctors. The biggest problem for any new author is having the time and money to write. I got my break at 29, when I wrote my first published novel while employed for a year at the Sunday Express as a features writer. (I had to join the staff to get a mortgage because my future husband was doing his Phd.) I was asked to follow round Jeffrey Archer while his first play went into production, which meant loads of days off supposedly following him and the cast. It was brilliant – I was being subsidised by one of the worst newspapers in Fleet St, and even got to stay at the Bath Royal Crescent Hotel with my boyfriend on the opening night. But then the awful realisation dawned that I was actually going to have to write 5,000 words on this towering piffle written by someone I despised and wasn’t allowed to send up. I was in despair, and then – this was the second piece of luck – he sued the Express’s sister-paper, The Star, for libel in what became a famous case. So it was dropped. Soon after, I won a prize for some freelance journalism, and they fired me. I try to plan but the reality is that I get an idea and ten years later it becomes a book. Because I carry characters on from one novel to the next (minor ones become major, so they aren’t exactly sequels) I have a sort of portable parallel world in my head. But usually, my novels start with someone saying something I find interesting – for instance, what I’m just editing now began when a photographer told me he wished he’d stuck a knife in his heart before divorcing his wife for another woman, because two years later he was no happier. Then a whole lot of friends began to have their own terrible creak-ups. Because I write contemporary novels I’m always trying to not just surf the present but get a little bit ahead of it, which has problems when you come up against reality. In Hearts and Minds, I knew it had to have a terrorist attack (it began when I heard about 9/11) but my climax was originally going to be three bombers with back-packs in King’s Cross. When that happened, I had to change it. I often write things that then happen. It spooks me, too. Alone, and on a laptop. I can write long-hand, but it takes longer. I’d like to work til midnight as an owl but have been forced by kids and marriage to become a lark. Dreadful. It’s barely in English, full of repetitions, wheels spinning in mud, implausible characters and plot twists. I literally re-write everything 100 times. I don’t believe there’s such a thing as writing, only re-writing. Impossible question! I admire many, many writers, living and dead. Luckily, I’ve been able to meet most of the living ones as a critic/journalist. Of course I’d love to ask Shakespeare who the Dark Lady was (that’s the journalist) and Jane Austen if she’d ever been really tempted to marry…. But as a writer, I’d like to know whether Keats would have written novels, being just on the cusp of that period. Probably Dickens’s Great Expectations. It’s one of the few perfect novels, alongside Lampedusa’s The Leopard, Austen’s Emma and Waugh’s A Handful of Dust, but emotionally closest to me. I often write about protagonists who begin as unbearably snotty or deluded, and who learn better. Learning to drive. Not driving is almost a professional deformity for many authors, and although I have to listen to Bach the whole time to remain calm I am now competent enough to enjoy it. Being able to fly. I still have flying dreams – usually about flapping my arms frantically to keep up. Gardening in Devon with my husband. So many! I’ve just protested about literary festivals not paying authors, which is disgraceful. But I’d also like publishers and agents to pay interns. My daughter is going into this area, and it is so depressing. No wonder there is so little diversity. It’s obvious – if you can’t afford to work unpaid for a year, everyone is going to come from the same privileged class. I also want the Government to give booksellers more of a fair crack by changing how Amazon is taxed. Persist. Be brave, be kind, and try not to let your body go to pieces as a result of endless sitting. Thankyou so much for finding the time for this. This entry was posted in Author interviews and tagged Amanda Craig, writing. Bookmark the permalink.